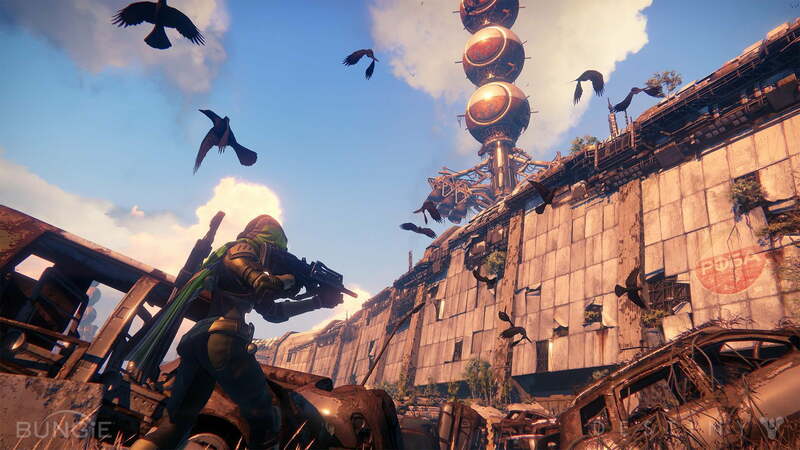 Destiny‘s endgame has a bananas amount of depth. There’s really a limitless number of things to do even after you hit the level 20 XP cap. Bounties, raids, Strikes, Patrols, Vanguard/Crucible reputation ranks, PvP, Daily Heroic Story missions, Weekly/Nightfall Strikes… the list goes on. And a lot of it carries the promise of the game’s sweetest loot rewards. 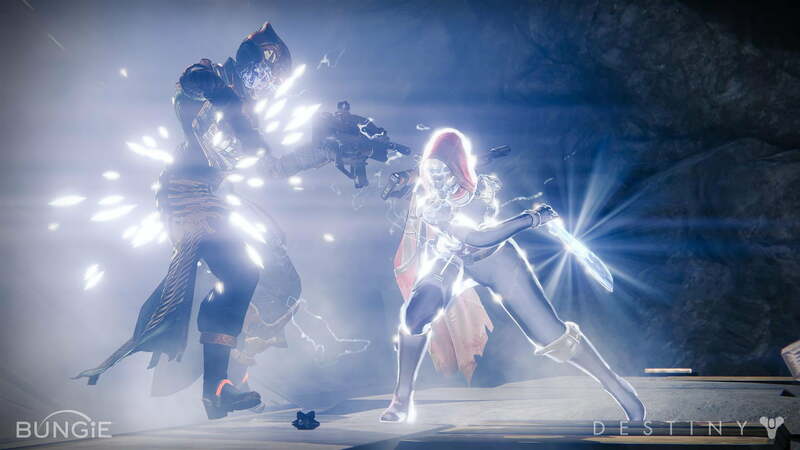 Unfortunately, Destiny is also very light on explanation, so hitting level 20 can be confusing. We’re here to help. We’ve logged the hours necessary to get a handle on how the endgame works, and we’re going to explain it right here. Bear in mind, this game continues to be an ever-changing landscape. The mechanics of existing certain systems are still being discovered, even as new features are being added. Expect this guide to grow and evolve over time. This is Destiny‘s post-level 20 world as we understand it right now. One other note: This guide assumes that you’ve got a good amount of time invested in the game. 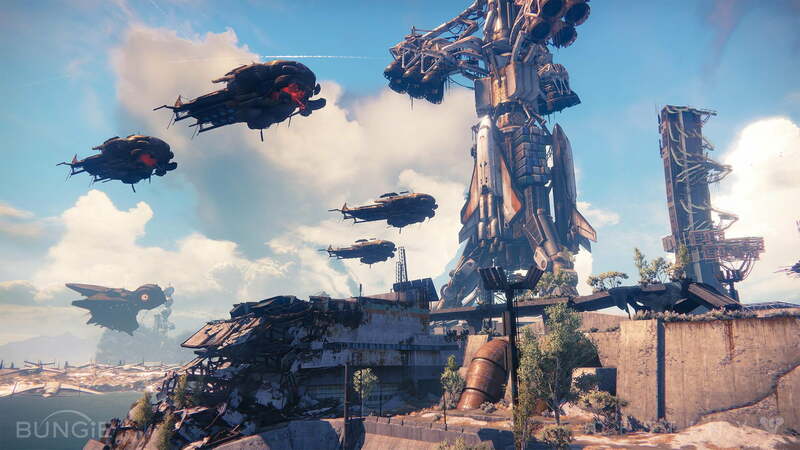 If you find that certain terms and systems aren’t being explained clearly enough here, refer back to our Destiny Getting Started Guide to run through all the basics. 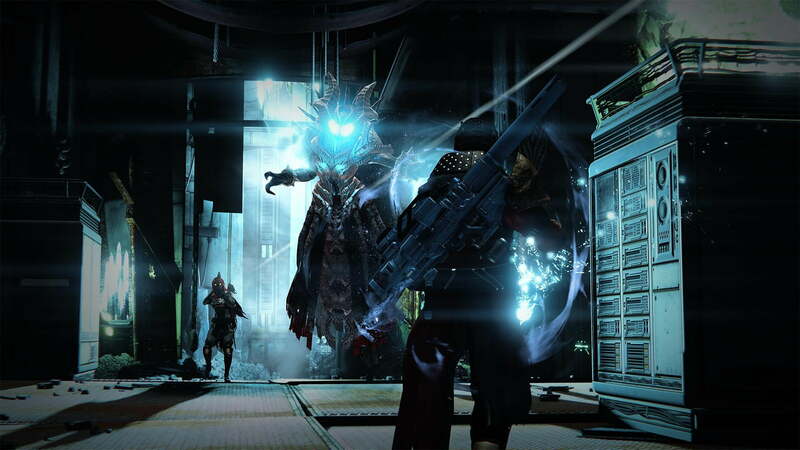 There’s a misconception that the late-game content in Destiny doesn’t become available until level 20. While that’s true to a certain extent, there are things every player can do to prepare, and there are also certain things that unlock prior to the cap. Make sure that you grind out as many bounties as you can. First off, spam those bounties. They reset every day, so you should try to knock them all out every day. If you want to know the difference between Vanguard and Crucible bounties/Marks, refer back to our getting started guide. There’s no harm in pursuing both. You can only earn a maximum of 100 Crucible Marks and 100 Vanguard Marks (the currency used to buy legendary gear) each week, but the XP rewards that you earn from completed bounties offer the quickest route to upgrading endgame gear. The XP reward isn’t even applied until you turn in the bounty, so just equip any gear you want to level up before you reap your rewards. Bounties becomes immeasurably easier on the Vanguard side once you’ve hit level 20. The bounties that involve taking down a story boss or completing a story mission on the Heroic difficulty setting, for example, are a snap to breeze through, since there are multiple Heroic settings and at least one is always below that level 20 cap. Also be sure to take advantage of the Strike playlist once it unlocks at level 18. Strike missions are co-op outings for up to three players; there’s at least one for each planet, and they always end with a boss encounter. You can choose individual Strikes from the planets, but the playlist lets you set a level rating for co-op matchmaking that pairs you with players searching in the same range. Strikes are great for earning the last bits of experience you need to hit the cap if you’ve exhausted your bounties for the day, but they also carried the added benefit of potential gear drops and Vanguard Mark rewards. This is especially important once you hit 20, but it’s useful to start amassing Vanguard Marks as early as you can. It’s also a good idea to start farming for crafting materials well before you hit level 20. A good rule of thumb is to just not bother spending anything other than Glimmer on upgrading your gear before you hit level 20. Crafting mats like Spinmetal, Helium Filaments, Spirit Bloom, and Relic Iron are a pain to harvest — you simply wander around the planet they’re native to — and they’re necessary for upgrading late-game gear. Best to just save that stuff for purples and higher if you can. You can buy these mats from the Crucible and Vanguard Quartermaster vendors in the Tower, for each one’s preferred currency (Crucible/Vanguard marks). You get 20 of a particular mat for every 10 marks that you spend. Not the best use of marks since farming is so easy (if time-consuming), but it’s a great option if you’re just a little bit short of what you need for a particular upgrade. Calling level 20 Destiny‘s cap is a misnomer. That’s the point at which earning XP no longer pushes the number higher — it’s still useful though, as we’ll cover shortly — but you can definitely go on to level 21, 22, 23, and beyond. The easiest way to explain is like this: At level 20, Destiny transforms from an XP-focused grind to a loot-focused grind. You should be able to reach Light level 24, maybe even 25, just by gathering blue-rarity gear. Once you get to 20, you’ll notice that all of your armor pickups have a new stat called Light. Just armor; weapons don’t get a Light stat. Further, if you look at your character sheet you’ll see a Light stat listed next to the helmet armor slot. Hover the cursor over that stat and a text pop-up appears with a meter at the bottom. The higher your Light stat, the more that meter fills. Fill it completely and you earn a new level, at which point the meter empties out and you have to fill it again. It’s really as simple as that. Keep upgrading your armor. Make sure the base Light stat for a new piece is greater than the base stat for what you’re replacing. The Light level on a piece of armor rises a bit as you upgrade it, so keep that in mind. An easy way to tell what’s better or worse, when it’s not obvious, is to look at the level requirement for using each piece of gear. At this point in Destiny‘s post-release life, there’s no gear (that we’ve found) that carries a Light level requirement. The highest we’ve seen is level 20 gear. You should be able to reach Light level 24 just by gathering blue-rarity gear. You’ll need purple Legendaries and/or gold Exotics to go even higher though. The most reliable sources of blue-rarity gear and higher are Strike missions, though the level 26 Vanguard Roc playlist — currently the highest available — is the only one that has guaranteed engram rewards upon completion. And unfortunately, Vanguard Roc is only available to those that own Destiny‘s first downloadable content expansion, The Dark Below. Enemies still drop gear on occasion, but it’s not guaranteed the way it is when you complete a Vanguard Roc Strike. If you’ve got the DLC, spam that level 26 Strike playlist once your Light level is high enough. You also take in a constant stream of Vanguard Marks from Strikes at any level, which you can in turn use to buy level 20-rated purple-rarity gear from certain vendors. So even lower-level Strikes aren’t a waste of time. Also try to gather groups of friends to take on the Weekly Heroic and Nightfall Strikes, and (once you’re ready for it) the level 26 raid, Vault of Glass. Weekly Heroics yield Strange Coins, the only form of currency (other than Motes of Light, on specific items) that weekends-only vendor Xur accepts. Xur sells Exotic (yellow-rarity) gear, the most powerful loot in Destiny to the point that you can only have one Exotic item apiece equipped for weapons and armor. Strange Coins are rare random drops as well, but Weekly Heroics are the most reliable source. As for Nightfalls, they’re tougher than the Weekly, but they often provide some of the game’s best rewards outside of the raids. Unfortunately, both the Weekly and the Nightfall don’t use matchmaking and they’re very difficult to solo your way through. Find friends and group up to knock them out. Crucible is also an absolutely viable option. You can’t rely on loot drops as much as you can with the weekly stuff, but if you’re just gunning for purple legendaries and you have a talent for competitive multiplayer, the Crucible Marks you earn can buy equally effective purple gear (and Crucible yields decent, if unpredictable, drops as well). So earning regular XP is worthless now? There’s still an important reason to keep on grinding for XP as well as loot in Destiny‘s post-level 20 world: Upgrades. You need more Light to level up your character past 20. Earning XP may not affect your character’s experience level once you hit 20, but that XP still goes toward gear and subclass upgrades. One feeds into the other, really. You need more Light to level up your character past 20, and to do that you need to get better armor and keep upgrading it. You’ll need more than just Glimmer to buy some of these upgrades too. Certain blue-rarity armor upgrades also use up some amount of your class-specific crafting material — it’s Sapphire Wire for the Hunter — and you only get that when you dismantle green-or-better armor. Upgrading legendaries is even trickier, since you need even rarer crafting materials, such as Ascendant Energy/Shards, which can be earned from the Daily Heroic story mission (on its highest level), Public Events (randomly occurring during Patrol exploration), Weekly/Nightfall Strikes, and the raids. Legendary upgrades also require crafting mats from one of the four planets, which is why it’s good to start stocking up on these as early as you can. Try to get in at least one Public Event every day! Patrol missions are the best way to find one, but they’ll sometimes pop up between instanced zones of story missions and Strikes as well. They’re “all-are-welcome” activities that pit players in the shared open world against some significant threat. You can track incoming Public Events using websites like DestinyPublicEvents.com and apps like Destiny Timers. You always get some kind of rare crafting mat as a reward from the postmaster in the Tower for completing your first public event of the day; it could be Ascendant Energy/Shards or simply a Strange Coin or Mote of Light. Each completed event also carries the chance of providing an instant crafting mat reward upon completion. Crucible and Vanguard Commendations are your key to scoring sweet legendary loot from the Tower vendors. When Destiny first launched, ranking up your Crucible/Vanguard or faction rep included a random reward, usually involving a piece of legendary gear. An update changed all of that, rewarding players instead with Crucible (for Crucible and faction rank ups) and Vanguard Commendations. It’s a currency, of sorts, that you trade to Tower vendors that peddle legendary gear — class vendors and Crucible/Vanguard Quartermasters — along with Crucible/Vanguard marks in exchange for whichever item you’re buying. The price of each item in marks remains the same as it was prior to the update that added commendations, you just need these commendations as well to buy your goods. Exotic gear is the top-tier of Destiny‘s loot system. The most reliable source of these is Xur — who only appears on Friday and Saturday, and in different parts of the Tower — but you need to generate a healthy supply of Strange Coins if you hope to walk away with one of his wares. Exotics also drop during Destiny‘s tougher challenges, like Nightfall Strikes and the raids. Failing all of that, there are also Exotic Weapon Bounties. These are special, multi-part bounties that have a very, very small chance of being offered whenever you hand in a completed Vanguard or Crucible bounty. Each one follows a very specific path through four difficult-to-complete bounties that span both story/Strikes and Crucible, and each also concludes with a specific exotic weapon as its reward. Exotics are available for both weapons and armor (and Exotic armor carries higher Light stats than legendary armor), but there’s a twist. You can only have one Exotic equipped at a time in each category. So if you have an Exotic helm slotted in, your chestpiece, gauntlets, and boots must all be legendary or lower rarity. Exotics also have a unique upgrade process. Like legendaries, the final upgrades on each piece of gear, weapon or armor, carry a higher cost. You don’t need any Ascendant Energy like you do with legendaries, but you do need an Exotic shard. These can either be purchased from Xur for seven Strange Coins or gotten from breaking down another Exotic. Xur also sells upgrades for a select assortment of older Exotic gear on a weekly basis. The release of The Dark Below ratcheted all new gear ratings up a bit while stiffening the endgame challenge even for non-DLC players. Xur’s upgrades — which require the original Exotic, and Exotic shard, and around 7,000 Glimmer — keep the older gear relevant. Take note, though: If you upgrade an Exotic through Xur, it completely resets the upgrade level for that piece of gear. So don’t bother investing anything in upgrading a non-upgraded Exotic.